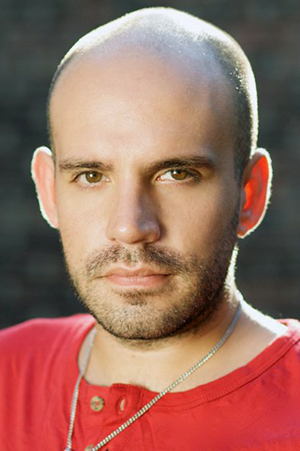 Rafa has been part of Boundless Theatre Company since 2009 where he worked as production assistant for the play “Bug”. Since then he has collaborated in one way or another to all the Puerto Rico productions of the company. Recently he played the character of Santiago Nassar in the adaptation of the novel “Chronicle of a Foretold Death” by Gabriel García Márquez. Rafa is an important link between the company in NYC and PR. Born and raised in Madrid, Spain, Rafa possess a BA in theater from the University of Kent at Canterbury (ESAD), a Masters in Theater Arts from the University of Rey Juan Carlos, a second Masters Degree in Comparative Literature from the University of Puerto Rico where he is currently studying for his PHD in Hispanic Studies. He teaches at the University of Puerto Rico in Río Piedras and also at the ICPR Junior College. As an actor he trained in singing, piano, tap dancing and musical theater. Acting credits in Spain: “Chicago”, “El séptimo sello”, “El clavel y la espada”, “Cavalleria Rusticana”, “Divinas palabras”, “Wit”. In Puerto Rico: “La sataniada”, “Elvira y Jouvet”, “Piaf”, “The House of Bernarda Alba”, “Spring Awakening”, “Footloose” and “Hair” amongst others. In 2007 he co founded TANTAI Teatro PR alongside Ismanuel Rodríguez. Thru the years he and his company have earned the respect and admiration of the theater community in Puerto Rico for their commitment to creating work that is innovative and rich.